You know the story: if something happens all the time, people become immune and no longer pay attention. The last thing you want to happen is to have your staff so used to hearing a fire alarm go off “accidentally” that they don’t pay attention. This can lead to some terrifying situations or a devastation accident if not handled appropriately. Commercial fires can spiral out of control more quickly than you may realize, leaving you and your team wondering what you could have done to prevent the fire. While dealing with false alarms may seem like a tiny annoyance, it can quickly get out of control as well as cause a massive burden on overtaxed emergency services. Here are ways to prevent false alarms on your commercial fire protection systems. Just like other systems, fire protection systems are not intended to work indefinitely without review, updates and interventions. When you are scheduling a regular system review, you can be sure that you are fully up to date on building codes requirements in your area. At AAA Fire Protection, we recommend that your industrial fire system be reviewed on a regular basis, depending on your location and type of business. 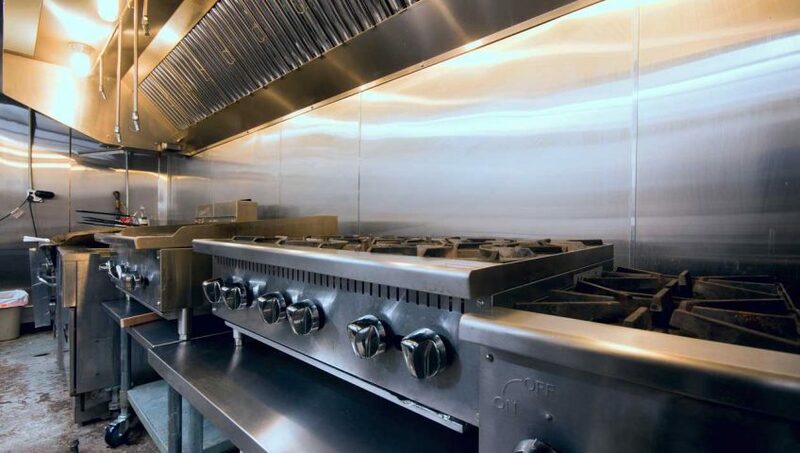 One of the biggest causes of fires in a commercial kitchen is due to grease — something that is easily preventable. The damage that can come from a flash grease fire is almost unbelievable, and it happens so quickly that you may not be able to keep it from getting out of control unless you’ve proactively prepared for that scenario. Consider having your ventilation and other fire control systems cleaned on a regular basis. A small smoke issue due to poor maintenance could easily cause a false alarm from your fire system. Kids will be kids — and kids love to pull a fire alarm! — but there are still ways that you can keep this from happening at your place of business. An added incentive to reduce the number of false fire alarms is that some cities are now instituting a small fee to cover the costs of fire personnel who spend their time and resources getting to what turns out to be a false alarm. Are you ready to keep your costs down and your fire protection high? Contact our friendly and knowledgeable professionals at AAA Fire Protection today at 855-778-7807 for a free no-obligation quote. We work with organizations of all sizes to ensure that your business assets are safe and that your employees and customers are fully protected in the event of an unexpected fire.